Denver Animal Protection wants to regulate private, off-leash enclosures, which are currently technically illegal given the city's existing leash laws that ban dogs from being off-leash in Denver. Editor's note: An earlier version of this story cited unclear information on the city's website pertaining to doggy day cares. The story has since been updated to accurately reflect the regulations being considered by the city. The city has also updated its website. It seems like everyone in Denver has a dog. So, naturally, many dog owners want a place where their dogs can run free and enjoy play-time with other four-legged pups. Right now, off-leash dogs areas in private, non-residential properties are technically illegal, as current laws ban dogs from being off-leash, except in public dog parks and private, single-family residences. Denver Animal Protection is considering new regulations for private, off-leash dog areas, such as a fenced area on the grounds of a multi-unit condo or apartment complex. The city's current regulations do not include doggy day cares because they operate under state regulations, according to the city. However, the city said it's including those facilities in its conversations in case they have an interest in building a separate, outdoor space for unleashed dogs that would be accessible from the right-of-way, among other reasons. That space would then be under city regulations, rather than the state. "The doggy day care issue is fuzzy for us because we do not want to create a regulation that conflicts with the current regulator, the state," said Alice Nightengale, director of Denver Animal Protection. A meeting planned for Tuesday - which Animal Protection is calling it a "focus group" - will offer residents a chance to give feedback about potential changes. 1. Dogs must be vaccinated and current on their rabies vaccine (with tags). 2. Persons 10 years of age or younger are not permitted in an off-leash enclosure. 3. Anyone seeking to build an off-leash dog enclosure must apply with Animal Protection and be okay with an inspection. 4. The enclosure must: have a minimum height of a five feet of fencing along the perimeter, have a two-gate "buffer zone" to allow for safe entry and opportunity for an owner to leash and unleash a dog, have no more than one dog for more than 40 square feet of space and have covered excrement containers within the enclosure. 5. Owners and operators are responsible for excrement clean up and for washing down the perimeter of dog urine. 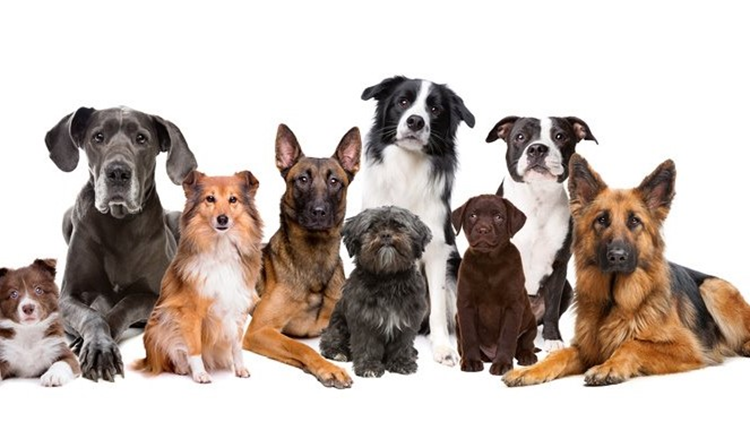 The focus group for the private, off-leash enclosures is scheduled for Tuesday, July 24 from 6 to 7 p.m. in the Grand Mesa Room (2nd flood, suite 200) at the Denver Public Health and Environment Building at 200 W. 14th Ave. in Denver. Denver Animal Protection stresses that if you want to go, please remember only regulations pertaining to doggy day cares are up for discussion. They'll be another meeting Wednesday concerning restaurants that have off-leash areas or want to build them. The focus will be on giving a path forward for those restaurants, and will not address food and beverage regulations as they pertain to building them. These regulations would be separate from Denver’s existing food safety regulations, which allow restaurants to host canines on patios provided certain conditions are met, such as dogs being leashed at all times. Another meeting Thursday will focus on HOAs (does your apartment complex have a dog park?). If you are interested, Animal Protection wants you there. If you've got questions, call them at 720-913-1311.